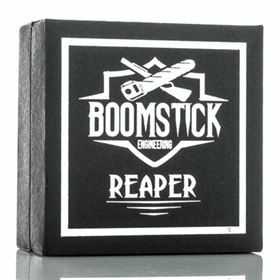 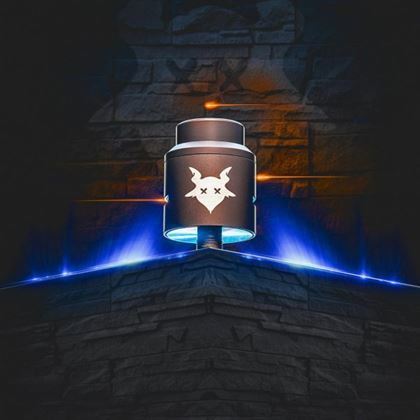 Boomstick Engineering presents the Boomstick Engineering Reaper 18mm BF MTL RDA, a low profile bottom-fed, dual coil RDA with high grade stainless steel construction, and several heat dissipation features. The build deck has a post located on each side of the atomizer with top mounted slotted flathead screws that secure gold plated gaskets and a PEEK insulated positive post. 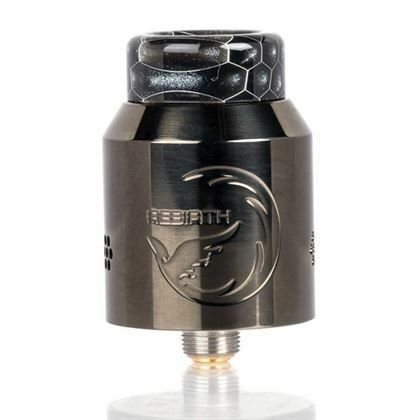 The Reaper has a dual chambered top cap, made up of an internal chamber for heat dissipation and the rifled top cap for airflow adjustment. 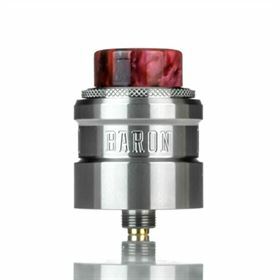 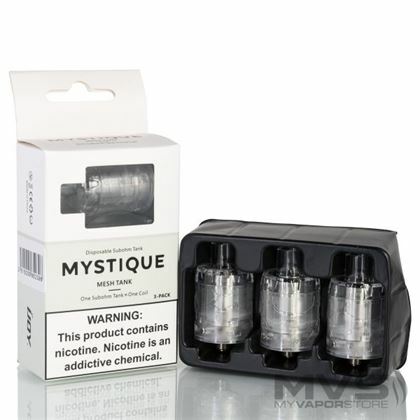 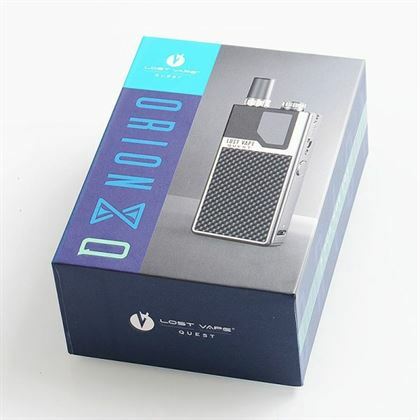 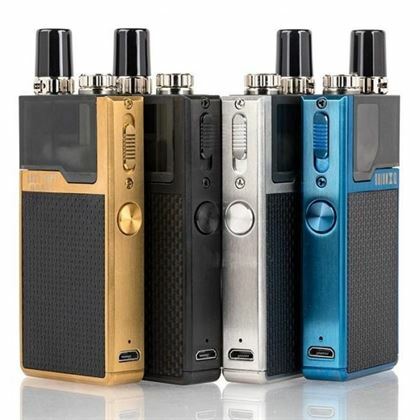 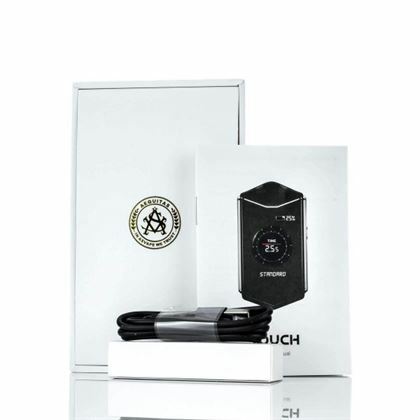 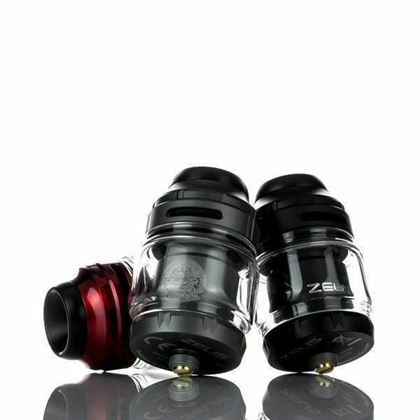 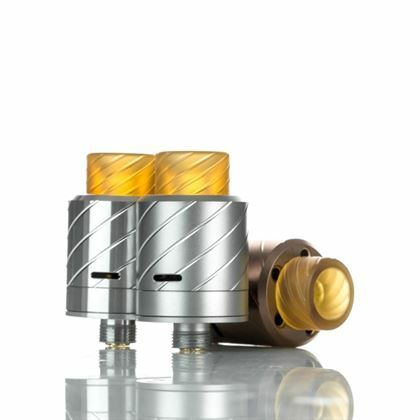 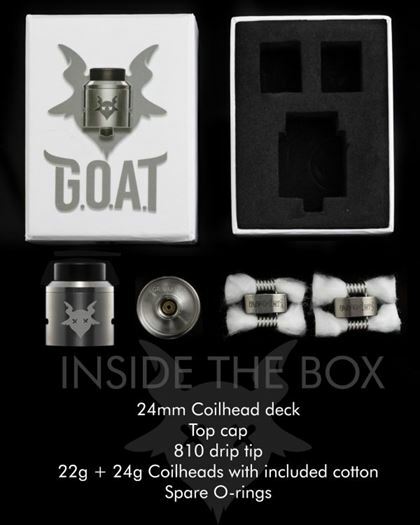 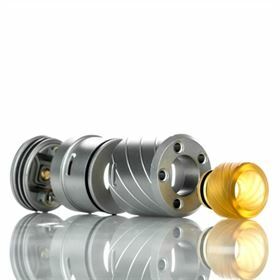 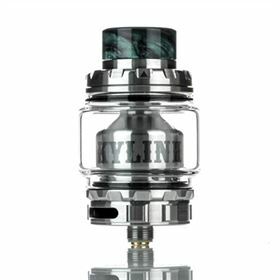 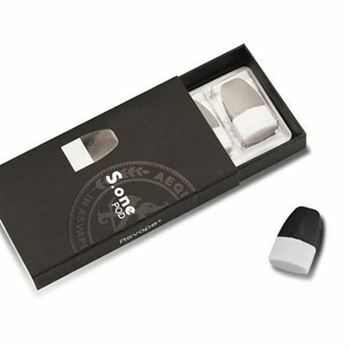 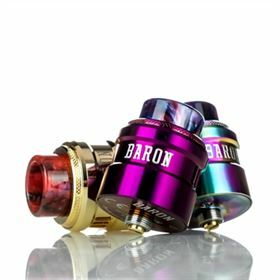 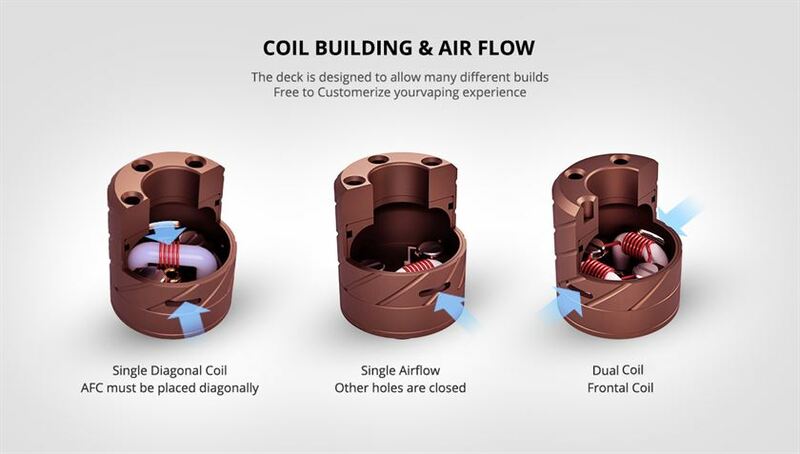 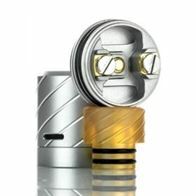 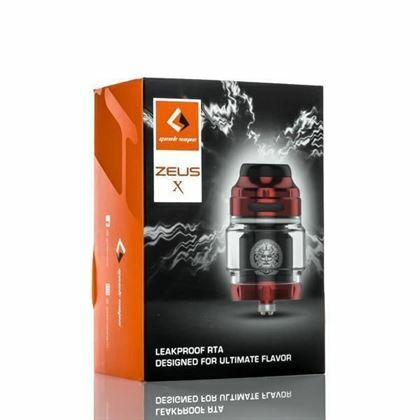 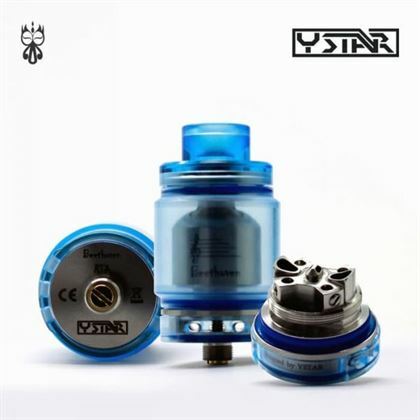 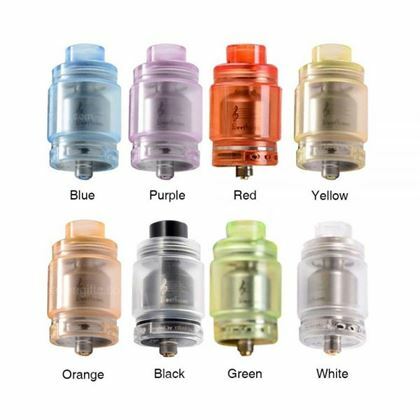 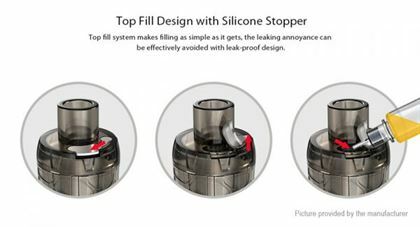 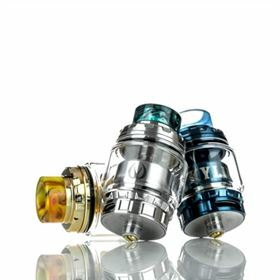 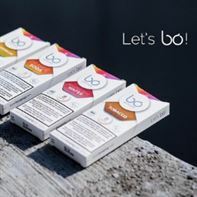 The top cap has two air ports to correspond with the three air ports in the internal chamber; allowing for either dual air flow for dual coil builds or single air flow for single coil builds. 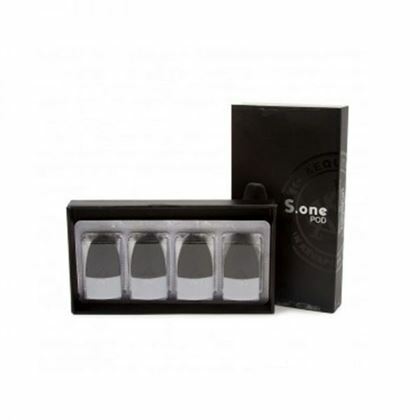 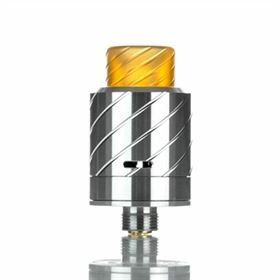 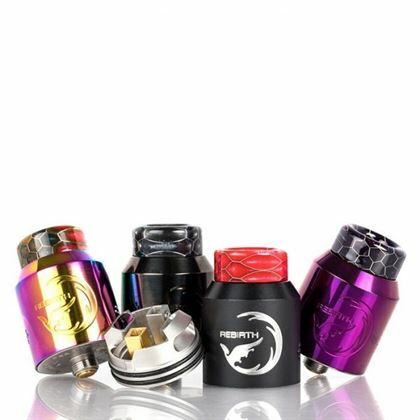 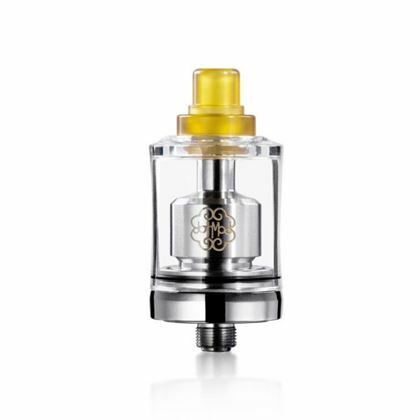 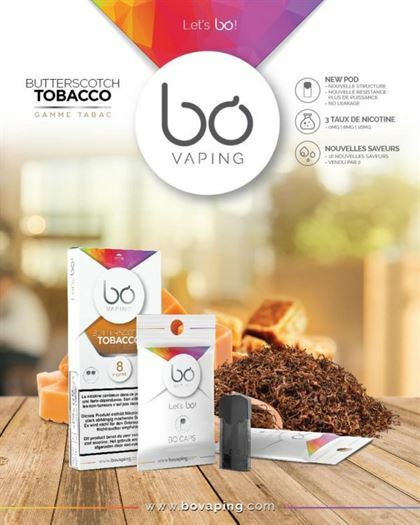 In addition to the stainless steel construction that keeps the Reaper cool in prolonged use, the 22mm ULTEM beauty ring and drip tip also contribute to the heat dissipation of the atomizer. 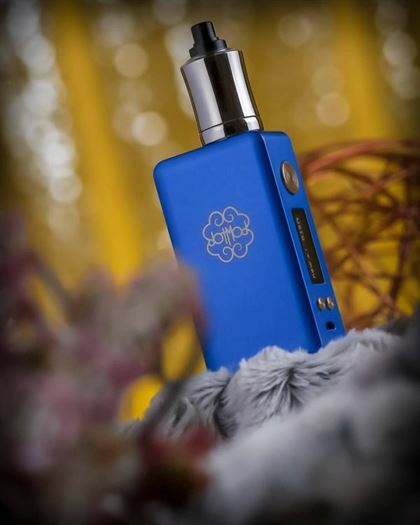 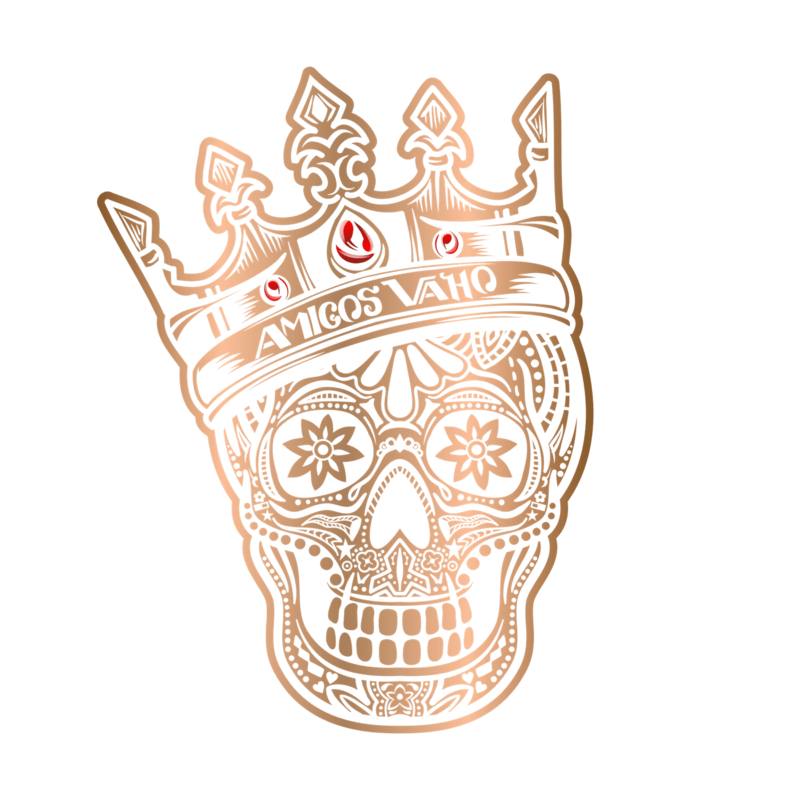 The standard 510 contact point and the bottom feeding pin are both gold plated and easily interchangeable to easily pair the Reaper with any mod. 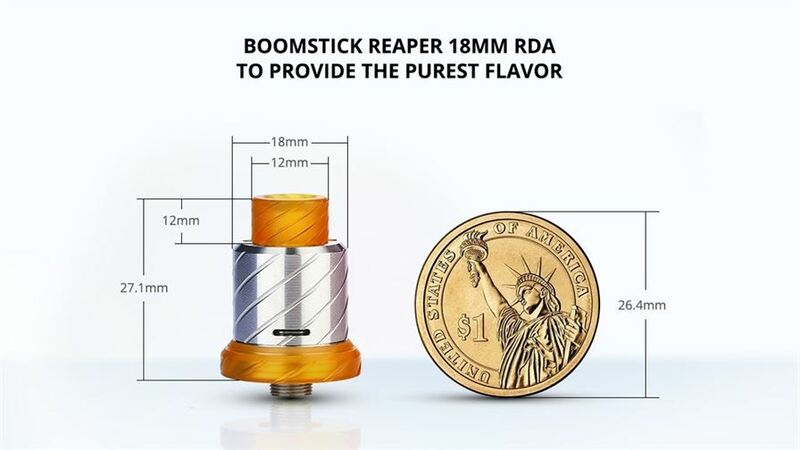 The Boomstick Engineering Reaper 18mm BF MTL RDA is a flexible, low profile atomizer to pair with any mod!